Time is a River	Hawaii in Oregon? 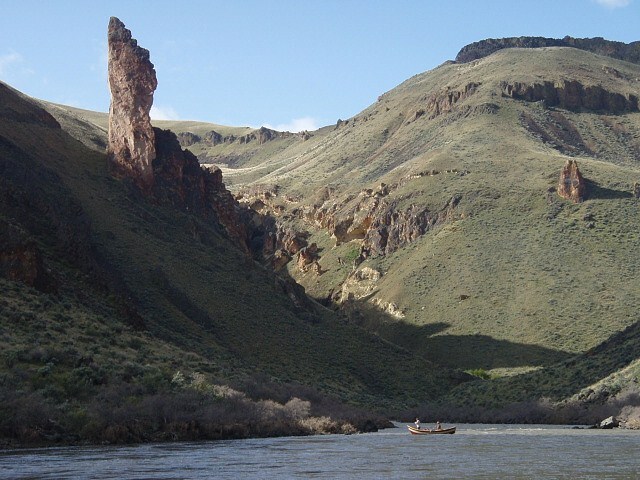 Some History of the Owyhee River. How Alone Do You Want To Be? It may be true, you will always be lonely, if you don’t like the one you are with, because from the get-go, that other person is always yourself So you can’t escape your own skin. However, you can escape your situation, if the need arises, at least temporarily at the minimum. For those whom are completely at home with themselves, yet get a stomach full of crowds and putting up with other people’s baggage, there is hope. There are places one can go to actually experience what good, healthy, “aloneness” actually feels like. Why healthy? When the body is sick, even with whatever medicine is taken, it still requires rest to help make for a good recovery. So when the ills of everyday, rampant living, gets overwhelming, what to do? Vacation. Vacate. Get out. Far out. And I know just the place for that. It is where I go that gives me that since of what aborigines must feel when they do their walkabout in the vast out-reaches, where one can almost outrun their shadow. 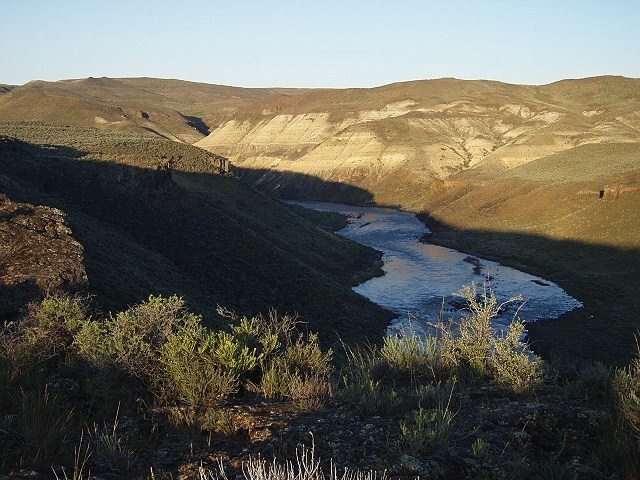 In the Southeast corner of Oregon is a river called the Owyhee. It flows through a high desert plateau, that is so remote, even an Aborigine might get lost. 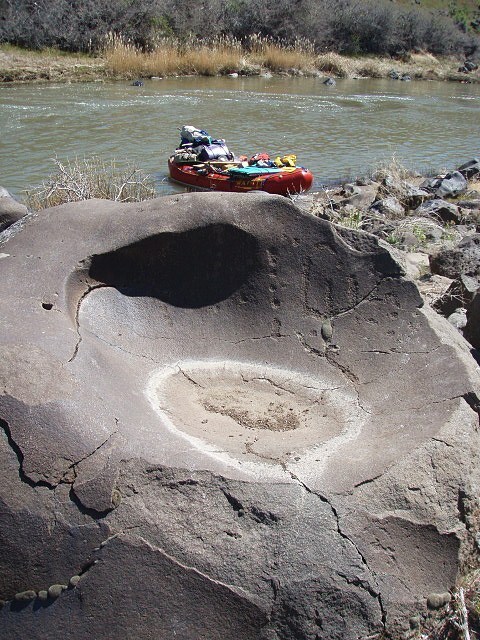 At least the Aborigines, in this case, ancestors to the Paiute people, found refuge here before getting lost in time. The only thing left that gives hint to their presence is their etchings in the rocks at various places in the canyon. It is fun trying to figure out what their messages to the future meant, but real answers have drifted away with their passing into history. One of the biggest beauties for me, is the feeling of being absorbed by the canyon, and taken into a world filled with isolation. Even when making side hikes to the rim of the canyon itself, on top, the mesa plateaus stretch far out into a distance where everything from you to the horizon line is filled with nothing but raw nature. Not a sign of man, anywhere. Just sage brush, mountain mahogany, and rolling hills where even the far off wind is lonely. 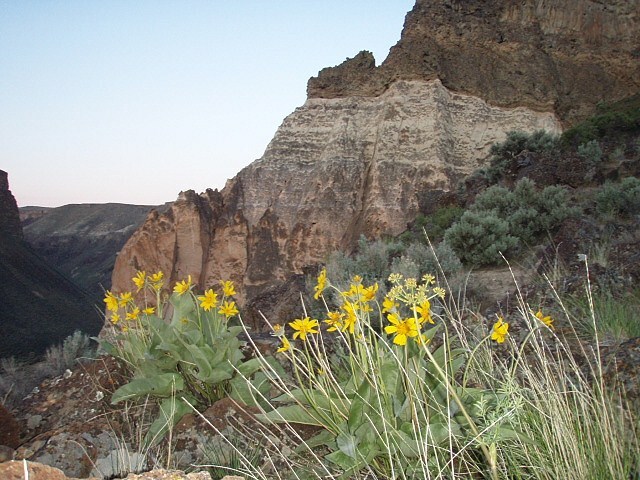 The mixing smell of sage, flowering primrose, and arrowleaf balsamroot on the upper desert floor, is an interesting contrast to the clean crisp aroma of air that is so far away from everything, it might have escaped the pollutions of society. Fresh air filtering through the nostrils is a simple pleasure many people have been away from for so long, they forgot exists. It just takes the right place, to get the right smell. 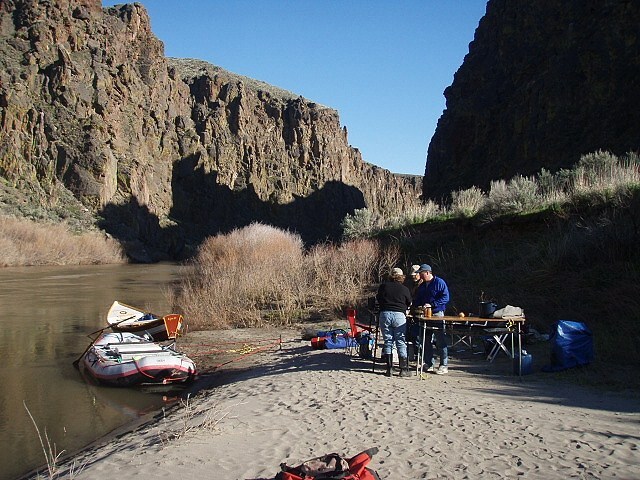 The Owyhee River, for me, is the right place. It is one of my favorite rivers and escapes. It’s unreal character is almost like stepping into the Twilight Zone, where another parallel world exists. 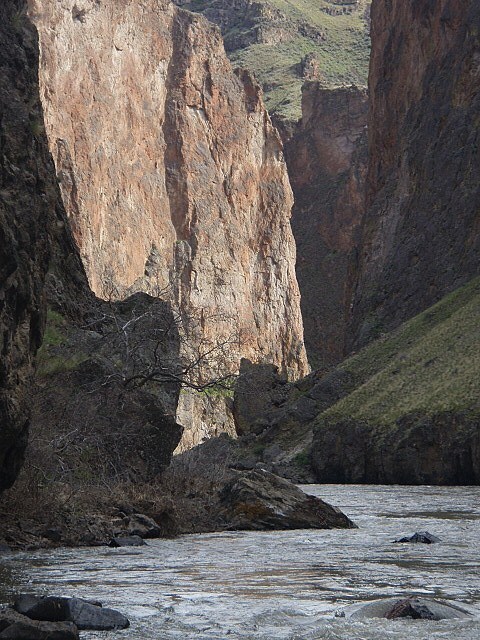 One where each bend in the river, or step around every corner when hiking the side canyons leads into something exciting. Astonishment is perhaps the better word here. It helps give me that fulfillment of my expectations of what paradise must feel like. Sometimes I even feel like whistling that famous tune from Snowwhite and the Seven Dwarfs, as the words “Hi ho, hi-ho, its off to work we go,” roll through my mind as the song leaves my puckered lips. Mixing my voice with that of the canyon help me feel like being one with the universe. It is like being in the smack middle of the magic kingdom of my own making, yet is a stark reality, at the same time. The closest thing I can compare it to for other people who have traveled the world, is the Grand Canyon. It is like floating through a miniature copy of that world heritage site. Yet, it has far less traffic than does one of the worlds most popular destinations. 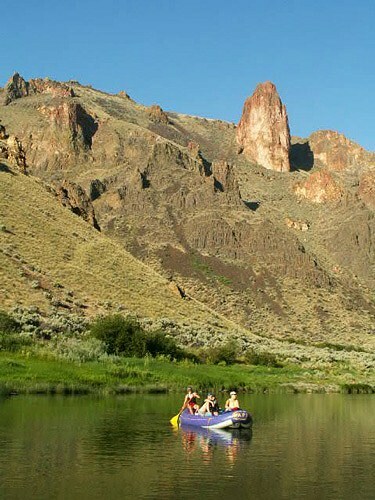 That is the Owyhee’s saving grace. That, and the fact that this place can only be reached by river during the spring time. The rest of the year, water levels are too low to comfortably float. 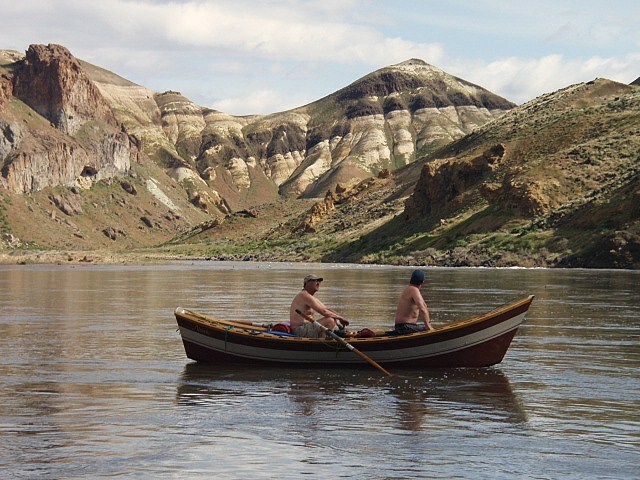 Unless walk and wade, line/carry your boat, and hardship expedition adventuring is your cup of tea, that is. Having made over a hundred trips down this river drueing my personal history of river running, my favorite time here is April and May. 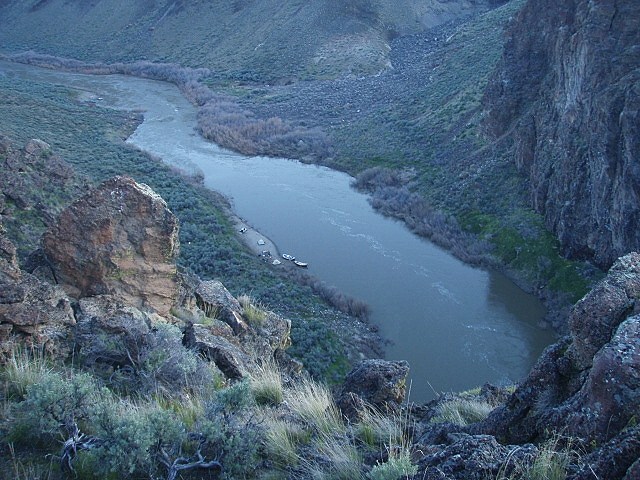 On average, the river is runnable from early March through the end of May. Though, in extreme snowpack years, the floating can extend into June. 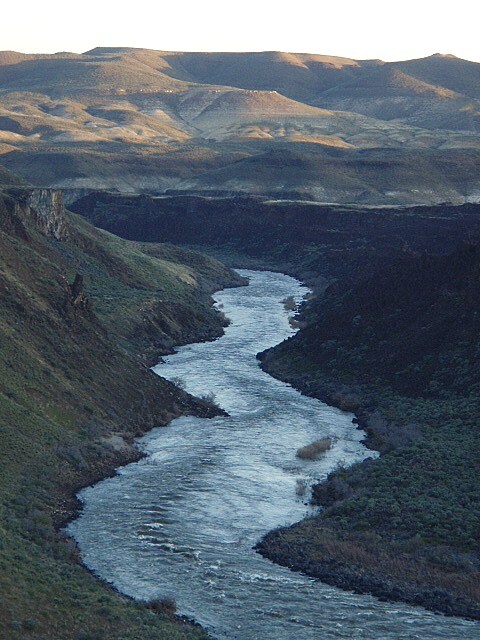 While it is true, other floaters can sometimes be seen, it is not a river that sees congested use like most of the other well-known and popular rivers in North America. Another reason I like it so. But words can only do so much justice to any thing or any place, so with that, and for now, I will let the pictures work their magic. Oh. One last thing. If there is anyone out there in the blogosphere reading this post, and is inspired enough to want to make a trip with us this season, now is the time to make reservations. We expect good run-off (some years there is not enough snowpack for good floating) and will be launching on Saturdays in April and May. We are not sure about June, as yet?? 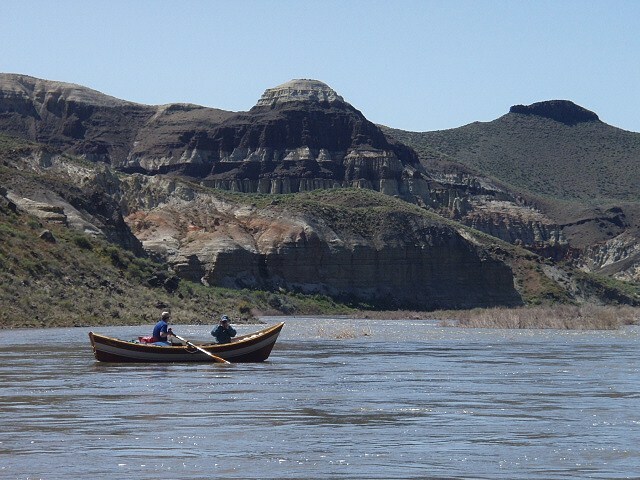 Rivers make good medicine with us, we make good medicine with rivers. Yes, you nailed it. Fantastic is a fitting word for a float through a Fantasy World by river. One day I go…have heard about it before and it keeps coming up so that means it is calling to me. 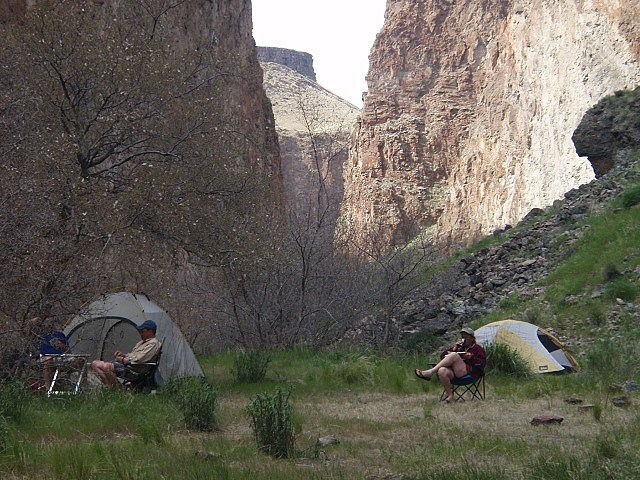 Yes, aside from the somewhat common referral to the Owyhee as “Oregon’s Grand Canyon” (in miniture, that is, and it certainly fits that description) I also like to call it: “The Outback and Down Under of America.” Taken from the fact that even an aborigine could get lost here. It truely is amazing country, and definitely worth fighting for every such inch of preservation, when opportunities arise. So, yes send me the brochures, and we will help get the word out. In our ever shrinking wild terrain real estate, it is always important to maintain the integrity of the places that still remain, which give sanctuary to the values raw nature provides as a place to go for restoration of our human-ness.